AUDREY'S MADONNA INN BLOG: "I need a writer!" One of the best parts about enjoying a Madonna Inn cake for a special event is seeing your personal message inscribed beautifully across the top. 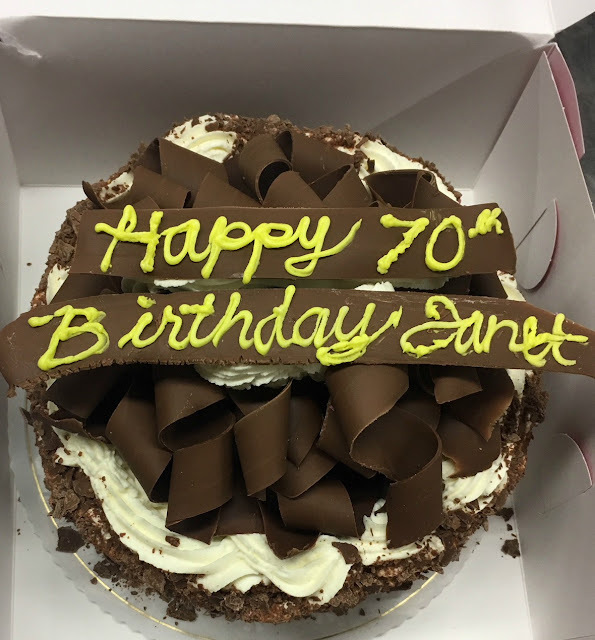 And, although a skilled cake decorator makes writing in frosting appear effortless, creating these messages (referred to as "writers" in the bakery) takes a lot of skill. It is actually quite often that the bakery receives requests for writers after our bakery staff has gone home, at which point one is likely to hear "I need a writer!" reverberating through the bakery and kitchen corridors. 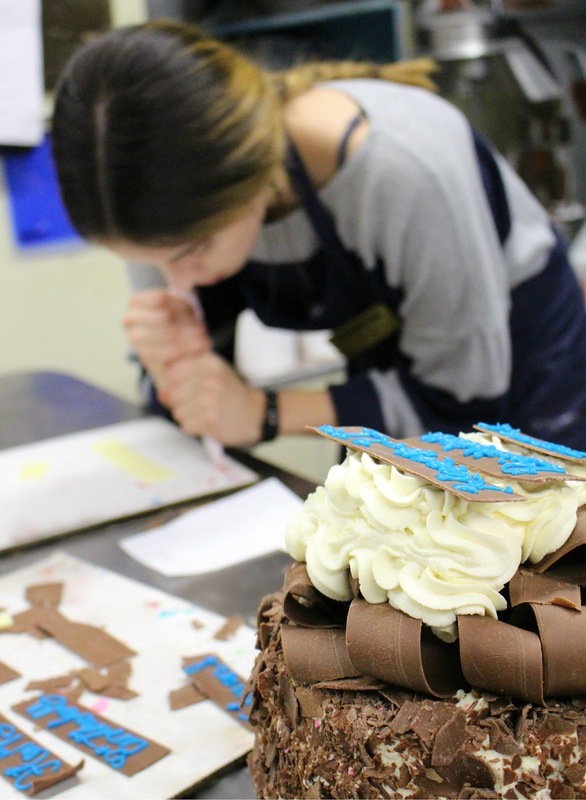 In such moments it is our hosts and hostesses, wait staff, and even back office staff that are depended on to grab a pastry bag and put their piping skills to the test! 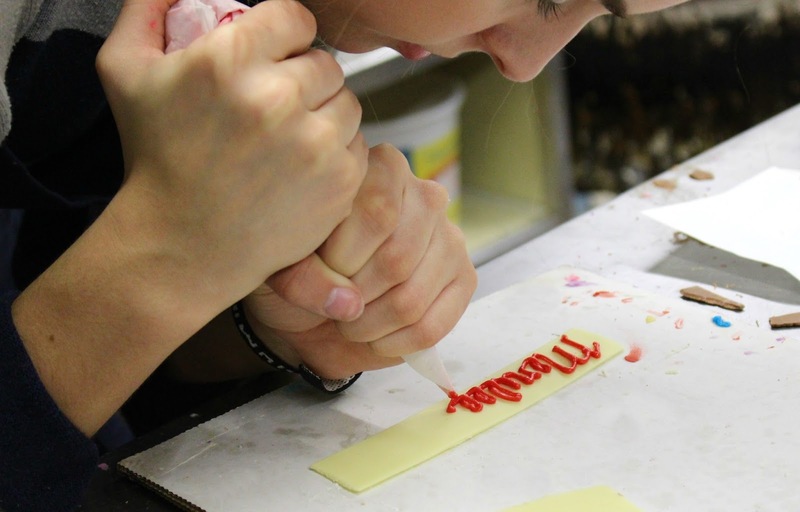 Recently, I was able to catch Katie, one of our Copper Cafe hostesses, completing a writer for a special order. As you can see, she was poised and prepared to answer the call. I have personally gotten to create a last-minute writer and can attest to the difficulty involved in crafting these delicate embellishments. Even as someone who's always been proud of her penmanship, I was quite humbled by my questionable final product. When writing in frosting is harder than it looks, thank goodness for multi-talented staff members with a steady hand and some artistic flair, to boot! "I need a writer". I like it! 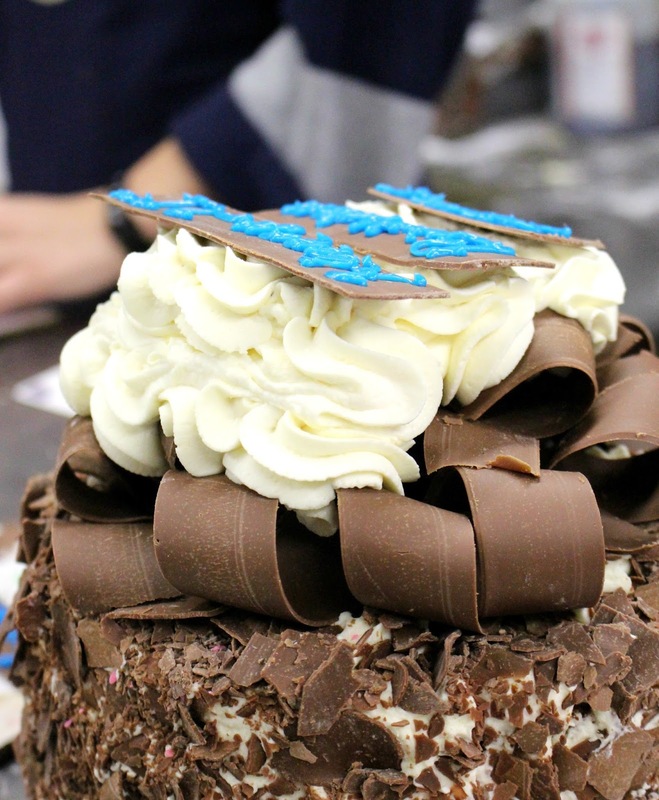 I’ll be your cake writer during my stay!! !